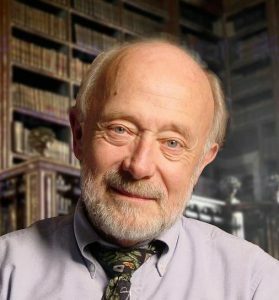 Marcus J. Borg (March 11, 1942 – January 21, 2015) was internationally known in both academic and church circles as a Jesus and biblical scholar, lecturer and author. He often focused his work on what it meant to be a Christian — especially what it meant to be an American Christian in a time of a deeply divided American Christianity. He authored twenty-one books, several of which became best-sellers. Many are about Jesus. Some are about God, the Bible, the New Testament, the heart of Christianity, and reclaiming Christian language. He also authored a novel whose characters wrestled with these issues. His books have been translated into twelve languages: German, Dutch, Korean, Japanese, Chinese, Indonesian, Italian, Spanish, Portugese, French, Swedish, and Russian. Borg held a doctor’s degree from Oxford University, and he lectured widely overseas (England, Scotland, Austria, Germany, Belgium, Hungary, Israel, South Africa, Sweden, and Australia) and in North America, including the Chautauqua and Smithsonian institutions. He served as national chair of the Historical Jesus Section of the Society of Biblical Literature and co-chair of its International New Testament Program Committee, president of the Anglican Association of Biblical Scholars, and a Fellow of the Jesus Seminar. He taught at Oregon State University for 28 years where he held the Hundere Chair of Religion and Culture at the time of his retirement in 2007. He later served as Canon Theologian at Trinity Episcopal Cathedral in Portland, Oregon. Following Marcus’ death on January 21, 2015, there was an outpouring of response: grief, dismay, gratitude, and love. People from around the globe shared emotions, thoughts and reflections about Marcus through social media, letters, and articles. Following Marcus’ death there was consistent inquiry: What do we do now? What do we do next? In response, the founding Board members facilitated a number of gatherings in the U.S. and abroad to ask how best to build on and continue Marcus’ vision. Consensus emerged: establish a Marcus J. Borg Foundation, not to immortalize Marcus but to build upon his insights and understanding as foundation for exploring what it means to be Christian in the 21st century. Our world is ever evolving, increasingly secular and complex, and religiously pluralistic. We feel the urgency to engage the heart of Christianity anew and move beyond dogmatic religion to a more authentic contemporary faith. We will provide programming, events, conversations, and resources to enliven thought, engagement, and practice as we join with others to make the world a better place. In a late journal entry Marcus reflected on three things he thought were essential to a more authentic contemporary faith: empathy, compassion, and gratitude. The Foundation is committed to these values. We look forward to you joining our efforts.